This time we are talking about the Earth! Thank you for joining us in the adventure. Our talk about food changed my perspective! And my eating habits have changed since this show! What do dogs know about food and eating? Have you ever noticed how important food is in our world? We use it to celebrate, we use it to show wealth, we constantly invent new ways to cook and create new plants to eat. Charlie asked me to talk about all of this with him and see what a dogs perspective on food and the consumption of food is. Do we require as much food as we are eating? What do our bodies ask for when it comes to nutrition? Is eating a habit? A necessity? An Obsession? Truly what else might be possible if we created a different perception around food? 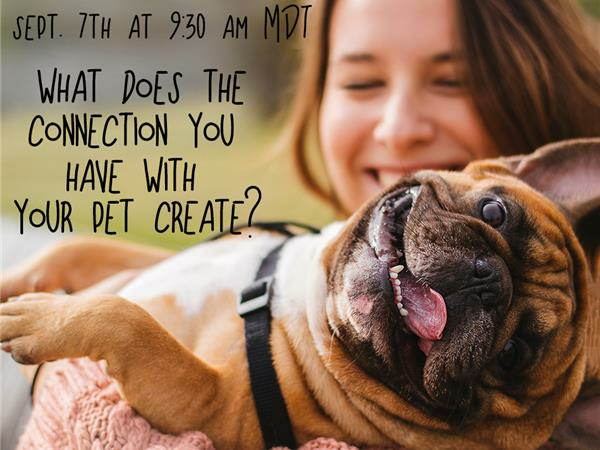 What does the connection you have with your pet create? Have you ever noticed that your dog seems to be able to read your mind? When you are totally congruent with your thoughts and your energy, your dog responds. You can create miracles and havoc with this. If you think at your dog that he will be aggressive with this dog coming towards him, guess what? Your dog will not see another possibility but to act the way you are projecting at him. And, so what if you could also use this to change your dogs’ way with things? What if it was possible to change his reaction to other dogs? Change separation anxiety? Could energetic connection with your animal be a tool you could use even when you are not with your pet? Charlie says: Connection is imperative. Anything that is not working between you and the animal is based on a broken connection. There is more communication going on than you think. Would you like to practice your energetic connection? Please join us! When it comes to pet food there are lots of things to be aware of these days. Recalls, bad ingredients, unhealthy byproducts and just a lot to choose from. Are you overwhelmed by the ingredients on the label of your pet’s food? And once you found the best food, should you stick to it for the duration of your animal’s life? What are the truths and lies about pet food? Can pat food ingredients be demystified? Would you like to have more ease with all of that? What is required information and how do you pick the ‘right’ food? 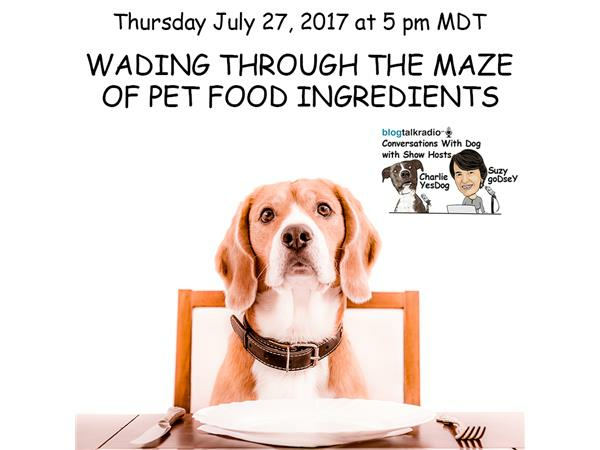 Let’s explore the topic of pet food with Charlie. Did you adopted a pet with issues? You just adopted a pet from the shelter and now you are dealing with some issues your pet is having. You start wondering if these issues have been created by the previous situation the animal was in, you might even explain the behavior with speculations about the animals past. Do animals function from the memory of their past? Do they behave based on these memories? What can you be or do to change behaviors that are not working for the animal or you? Do Animals Hold on to the Things We Do to Them? Are there moments in your life where you have felt like you did not treat animals respectfully? Like when you were a child and the animal was there to take the brunt of your frustration or emotions you did not have the tools to deal with at the time? Are those moments still bothering you today? Have you been wondering about how to say “I am sorry” even if that animal is no longer alive? Can this animal hear you now? And are they still stuck with these moments too? What is possible or required to have a different possibility and reality with these situations? Is there redemption? 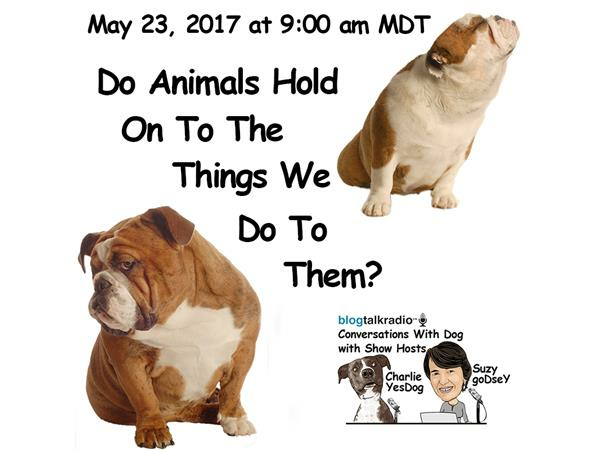 Find out how Charlie sees these kinds of situations and if there are other animals that would like their voice to be heard. Come on live and ask your questions about the animals’ perspective on situations past. Dealing with a sick pet? When your pet gets ill, you start to be stressed over many things. Is your pet distressed, or in pain? What is required to ‘fix’ this situation? Do you search out veterinary care, or are you more into alternative medicine? What is all this like for your pet? How do they perceive the disease they are having? 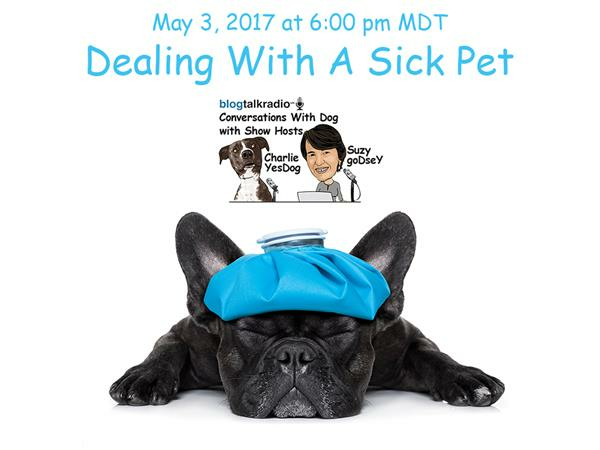 Find out what Charlie’s perspective on ailments is and how we can maybe relax more in the face of disease, even if we are not understanding what exactly might be going on with our pet’s body. 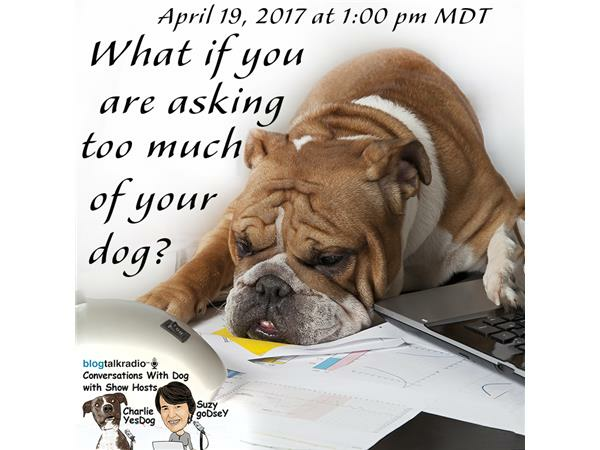 What if you are asking too much of your dog? Charlie and I were on a farm for 5 days and it was a big challenge for Charlie. He had a hard time adjusting to being around chickens, a peacock, donkeys, horses, cows, pigs and calves. As we know so well from him, he likes to chase things that are moving fast and watching these animals moving was huge motivation to chase after them all. So most of the time he was on a leash and being asked to behave. Which really made me look at what it is we are asking of our animals and what it is they can deliver. Is your dog willing to be fine with other domesticated animals? Can you ask your dog to be fine with them? 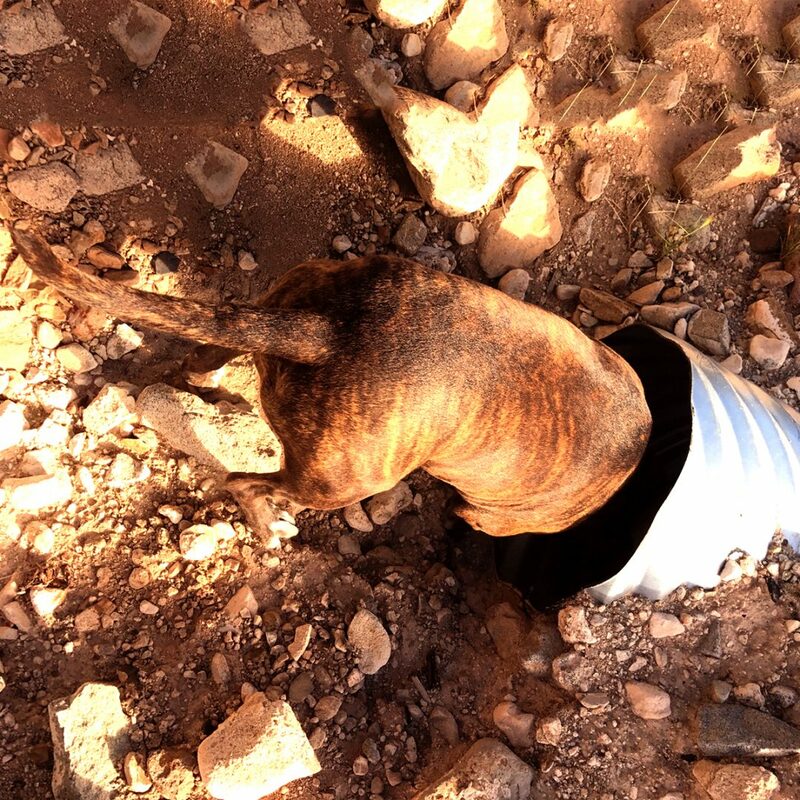 What other circumstances are you expecting your dog to behave in and are you asking too much? How would you know if you are asking for the impossible, or where it might be possible to train and adjust? When is it a kindness to train and when does that become an unbearable task? Let’s ask Charlie what makes it easy to let go of something and what makes it the impossible?